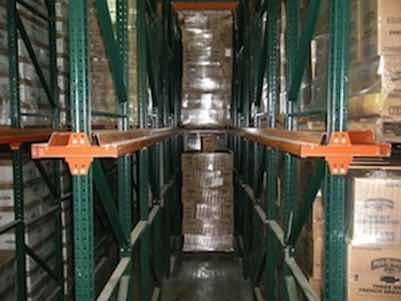 Drive In Pallet Racking is installed in warehouses and distribution centers that need a cost effective, high density storage solution for their pallets and products. 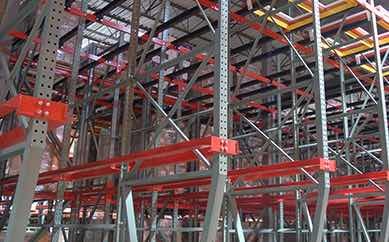 Because of its design, drive-in pallet rack is a first in, last out (FILO) storage system. Drive in racking is best used with a large quantity of like-products that are not time sensitive, in order to best utilize warehouse space. 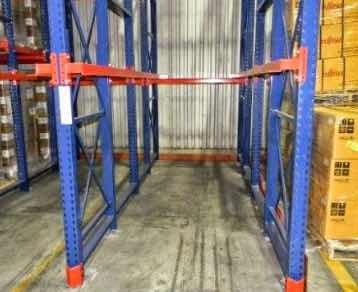 Warehouse access aisles are kept to a minimum with drive-in rack, often allowing users to achieve double or more storage capacity. 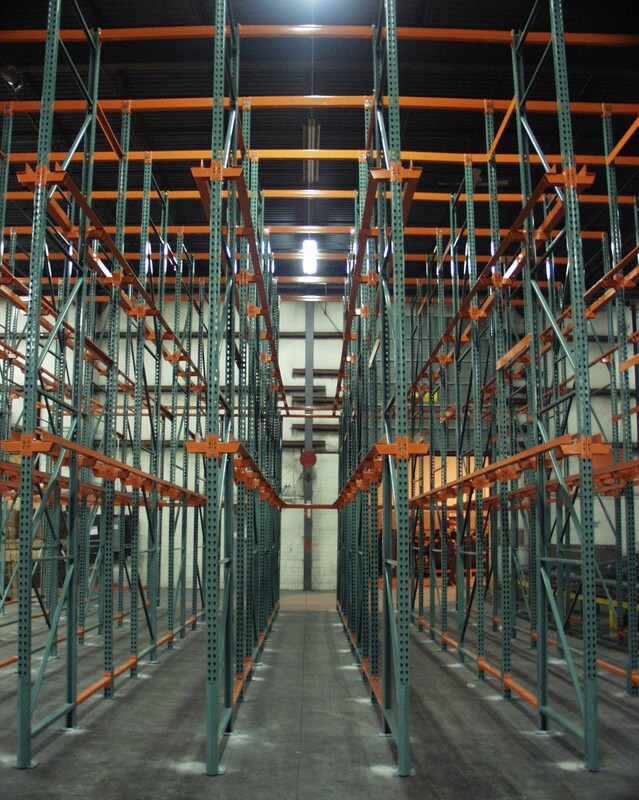 Drive in pallet rack systems can be designed to store anywhere from 2 to 10 pallets deep per pallet position. 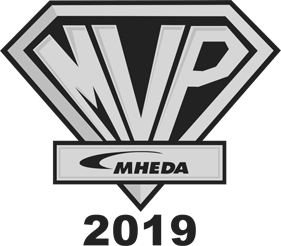 If you’re curious about how a drive in rack system can help maximize your warehouse or distribution center space, contact one of our Minnesota-based pallet rack design specialists. 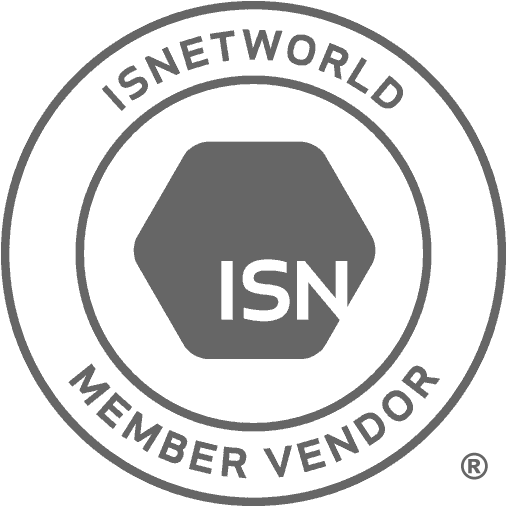 We’re based in Minnesota, but have shipping points located across the country so you can take advantage of shipping savings.